//Arthritis Help - Apply Now! If you suffer from severe, debilitating arthritis chances are you face chronic pain on a daily basis. For this reason, arthritis and Social Security Disability often go hand in hand. Indeed, arthritis is one of the leading contributors to disability in the United States. Suffering from arthritis is often degenerative and can severely impair your ability to take care of yourself on a personal basis, much less hold down a job and meet your financial obligations. One of the first things to consider regarding arthritis and Social Security Disability is the severity of your case coupled with the type of arthritis that you suffer from, as well as whether your arthritis is a singular condition or coupled with one or more other disabilities that may qualify you for Social Security Disability benefits. Arthritis generally comes in one of two forms; degenerative, such as osteoarthritis, or inflammatory, such as rheumatoid arthritis. These are two distinct conditions which cause differing symptoms and have different prognoses. It is important that you have proper medical documentation of your particular arthritis-related medical condition and history. When considering your eligibility for Social Security Disability related to arthritis, the Social Security Administration will also consider whether or not you are currently working and how much your disability is impairing your ability to do your job as required. The Administration will also want to determine whether or not your condition is severe enough to impact your ability to work and whether it will last at least 12 consecutive months, your previous work history and your age. Arthritis is the single leading cause of disability in the United States. For this reason, it is also the leading cause of applications for Social Security Disability benefits. The CDC estimates that roughly 19 million American adults suffer from one form of arthritis pain or another, and the disorder actually encompasses more than 1,000 diseases and conditions altogether, ranging from the commonly-known osteoarthritis to autoimmune disorders such as lupus and rheumatoid arthritis. The disease primarily causes arthritis pain, but it can also limit mobility, sometimes severely. In addition to arthritis pain and lack of mobility, sufferers of arthritis can also face crippling swelling and even muscle atrophy due to the fact that they are unable to move properly. Many sufferers work in pain for years and even decades not realizing that their arthritis pain may entitle them to Social Security Disability benefits, depending upon their unique medical situation and history. This is where our team can step in and help. By providing you with a free consultation, we can monitor your arthritis pain and give you the tools and assistance needed to win your social security disability claim. Suffering from arthritis pain, regardless of whether it is caused by gout, inflammation, or degeneration can be utterly crippling and debilitating, but it doesn?t have to destroy you financially as well. 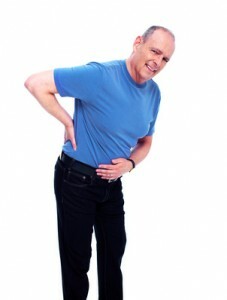 If you are considering applying for Social Security Disability benefits as a result of arthritis pain, it is imperative that you have an appropriate medical diagnosis and documented medical records, as well as a history of chronic pain lasting more than a year and that the pain you suffer prevents you from working gainfully. Most importantly, having a skilled advocate fighting on your behalf is paramount in winning your claim and receiving the ssd benefits you deserve. Remember, you may not have to suffer needless arthritis pain by pushing your body beyond what it can comfortably endure with regard to your arthritis disability; there are options available to help you meet your financial obligations. Contact us right away to learn your rights and get the help that you deserve! If you or somebody you love is suffering from the painful debilitation that goes hand-in-hand with an arthritis diagnosis, you already know that arthritis symptoms are no laughing matter. They are serious, painful symptoms that can also limit movement and range of motion as well as cause atrophy of the muscles and painful, swollen joints. The fact of the matter is that arthritis symptoms are not simply part of the aging process; arthritis is a serious disorder. And there are treatment methods available that can, if nothing else, help ease your pain and make living and daily tasks more comfortable. Arthritis symptoms are not just sore, aching joints. The term ?arthritis? actually encompasses roughly 1000 different diseases, some of which are autoimmune, others which are degenerative, some which affect soft-tissue and others that affect only soft tissue. Arthritis symptoms can range from mild discomfort and swelling to complete loss of motion in a joint and pain so severe it can only be managed by the strongest prescription pain medications, if at all. While the causes of arthritis symptoms are many and varied, there are three primary causes that make up the majority of the cases. The most common is osteoarthritis, which is a progressive breakdown of the joint cartilage due to age, injury, overuse, genetics or lifestyle choices. Rheumatoid arthritis is an autoimmune disorder that causes chronic, debilitating inflammation of the soft tissues in the joint. Finally, juvenile arthritis is arthritis (in any form) that afflicts children and youth younger than 16. Regardless of what type of arthritis you are suffering from, chances are you may need Social Security Disability help to ensure that you receive the benefits you are entitled to under the law to assist you in making ends meet. There are many forms of arthritis; in fact, roughly 1000 different diseases fall into the arthritis diagnosis, and some of them are so debilitating that they leave sufferers bedridden. But even if you are simply suffering from reduced range of motion and/or chronic severe pain, you may be entitled to SSD help ? and no one provides more help to people for Social Security Disability than us. The two most common types of arthritis are osteoarthritis and rheumatoid arthritis. Both are equally debilitating and can impact the range of motion and overall well-being of the afflicted, but in different manners. If you are seeking Social Security Disability help, it is important that you have a properly documented medical history of your particular type of arthritis. Osteoarthritis specifically impacts bone and joints while RA attacks the soft tissues lining the joints, causing swelling and loss of motion. There are two different programs that you may qualify for regarding SSD help if you suffer from arthritis. The first, and most commonly utilized form of Social Security Disability help is SSDI, a benefit program for the permanently or long-term disabled that US citizens pay into over the course of their working lives and SSI, which is a supplementary program to help those with work restrictions or limited incomes that may not qualify for traditional SSD help. Our team of social security disability attorneys can help navigate the system for you! In order to qualify for traditional SSD help, you have to be completely unable to work and the arthritis symptoms preventing you from working have to have lasted for at least a year or more. If you are unable to qualify for this form of Social Security Disability help, you may qualify for SSDI if you have accumulated enough work credits over the course of your working life and make under a federally determined dollar amount per month. In addition to meeting these preliminary requirements for receiving Social Security Disability help, your arthritis symptoms ? whether osteoarthritis or rheumatoid arthritis ? must be sufficiently debilitating that they prevent you from working due to restricting your range of motion, ability to walk or perform other ?essential? functions. In order to prove that your arthritis symptoms meet the required criteria, you are going to have to have comprehensive medical records that are substantiated by a licensed physician. It is always imperative, when seeking out Social Security Disability help, that you receive medical treatment and that it is documented in order to prove the severity of your disorder and that it actually impedes and impairs your ability to hold a job and support yourself. This is because SSA help is only available to those arthritis sufferers who are legitimately prevented from supporting themselves through gainful employment due to the severity of their arthritis symptoms. All Social Security Disability help applications are determined on a case-by-case basis and for the fastest processing and best outcomes, it is always advisable to be aware of the latest Social Security Administration application processes and policies, as well as documentation requirements for SSD help. If you are suffering from arthritis symptoms, you may be wondering what the root cause of your pain, discomfort, swelling, loss of mobility and even muscle atrophy actually is. In order to understand the cause of your arthritis symptoms, it is important to understand how your joints work in the first place, and what happens when things go wrong and they stop functioning as the well-oiled mechanisms nature has designed them to be. The simplest definition of a joint is a place where two bones have to move on or within one another. These bones are held together by soft tissue called ligaments but not actually fused. The ligaments work like rubber bands, holding the bones in place, while cartilage covers the surface of the bones preventing them from rubbing directly together. They are also cushioned by fluid within the joint cavity. Arthritis symptoms develop when the cartilage breaks down and bone rub together unnaturally or when swelling and inflammation occurs in the soft tissue of the joint. The specific cause of your arthritis symptoms depends upon the type of arthritis you have been diagnosed with. Osteoarthritis symptoms are caused by breakdown of tissues and RA symptoms are caused by swelling of soft tissues. Contributing factors that can ultimately cause arthritis symptoms include a variety of things ranging from your genes to your overall physical health and weight to injuries, infections or even allergies to food that can cause inflammation in the bodies soft tissues. Most cases of arthritis symptoms are caused by a combination of these factors. What is needed to prove arthritis for social security disability? If you are suffering from arthritis disability and are considering filing for Social Security Disability benefits to help you meet your financial obligations, there are a lot of things that you need to keep in mind in order to ensure that your case is as successful as possible. Most specifically, there are several forms of documentations and medical testing you are going to want to have completed prior to the filing of your case or immediately thereafter. There are certain criteria that the Social Security Administration has set in place to determine which arthritis disability sufferers are eligible for federal benefits. These criteria differ depending upon whether you suffer from osteoarthritis or inflammatory arthritis, but they all demand that the sufferer of the arthritis disability have ongoing severe discomfort or pain in one or more weight-bearing joints, loss of basic mobility or essential function in the hands or other primary joints, and/or swelling or deformity in at least on peripheral joint. In addition to having the above arthritis disability symptoms, applicants for Social Security Disability benefits need to be able to properly and legitimately document their medical history and the extent of their disability in order to prove to the Social Security Administration that their arthritis disability is legitimately preventing them from seeking out and holding down gainful employment and financially supporting themselves. Some acceptable forms of sufficient proof of adequate arthritis disability include such medical records as laboratory tests, scans such as X-rays, MRI?s, CT?s or ultrasounds and/or exploratory or reconstructive surgeries that may have been done to examine or try to improve your arthritis disability condition. How do you treat arthritis? If you are one of the millions of Americans suffering from one or more forms of arthritis, you may think about nothing more often than arthritis treatment options. Fortunately, as medical technology has progressed and understanding of this debilitating and devastating diagnosis improves, arthritis treatment is getting better and more efficient and effective than ever before. Sufferers have more, varied options that they can not only fit to their particular case, but to their lifestyle as well. When you are receiving treatment, you should also be working with one of our ssd specialists to get you the compensation that you deserve! Perhaps the most effective overall arthritis treatment is getting plenty of exercise on a daily basis. Exercise should be appropriate to your physical and medical condition and approved by your treating physician, but it can be invaluable when it comes to maintaining your mobility and preventing further degradation of your joints. Depending upon your particular diagnosis, physical therapy can be a great arthritis treatment. It is often covered by your HMO, and because it is supervised/orchestrated by a qualified medical professional, you can be ensured that you won?t exacerbate your condition while improving/protecting your range of motion. In addition to activities, arthritis treatment can incorporate many medications, some OTC and others as prescribed by your doctor. If you incorporate medication into your arthritis treatment, it is imperative that you discuss it with your doctor to prevent interactions and other complications such as bleeding. You may also be a candidate for certain injectable arthritis treatments that can provide considerable relief depending upon your situation. Additional arthritis treatment options include rest, alternating heat and cold, and eating a healthy, well-balanced diet. If you or someone you know is suffering from the debilitation of arthritis, you may be asking yourself who can find themselves facing this painful disorder. The sad and often shocking fact is that anyone is susceptible to an arthritis diagnosis and may someday find themselves in need of arthritis help. There are some demographic trends, this is true, but the truth of the matter is that this disorder, which affects millions upon millions of Americans, can strike any person at any point in their life, regardless of age, gender, race or creed. Some forms of arthritis are more prevalent than others, and some afflict certain ethnic groups more than others; since arthritis really refers to hundreds of individual, specific diseases, the actual numbers and statistics can be quite confusing and overwhelming to those seeking out arthritis help for themselves or someone they love. There are certain contributing factors that may predispose individuals to a future of arthritis pain and the need for arthritis help. Some of these include with lifestyle choices and overall health and well-being, such as your diet, weight and activity level. Others, such as genetic factors, your gender or ethnicity are things that cannot be controlled, but can be monitored. If you are obese, Caucasian, have a family history of osteoporosis, or are getting on in years, you should do what you can to mitigate your risk for needing long-term arthritis help. Some steps you can take include getting proper exercise and maintaining an ideal weight, as well as watching your weight. Maintaining your physical fitness can really keep your pain at bay and reduce your need for arthritis help. If you suffer from osteoarthritis disability you already know how debilitating and painful this disorder can be, and you may be wondering if you can receive Social Security Disability benefits for your osteoarthritis disability condition. Currently, under federal law, you can receive Social Security Disability benefits if you suffer from and have been diagnosed with osteoarthritis disability. This is the single most common cause of arthritis, a disorder that affects millions of Americans. It can occur in any joint, but it most commonly a problem in weight bearing joints or joints that you move repeatedly, such as those in your hands or hips. Whether or not you qualify for osteoarthritis disability benefits based upon your osteoarthritis disability depends upon the severity of your particular condition, which joints are affected, the length of time you have been impaired and whether your impairment prevents you from performing basic, work-related functions. One of the more common osteoarthritis disability areas is when your osteoarthritis disability occurs primarily in your vertebrae. This can make it difficult or impossible to move, sit, stand or perform certain tasks and can definitely limit your ability to work efficiently. Back problems are some of the most common cited when referencing osteoarthritis disability for Social Security Disability benefits. Osteoarthritis disability problems can also impact your joints, and joint dysfunction is also often cited in Social Security Disability applications. Joint problems related to osteoarthritis disability can make it difficult to walk, stand, grasp or use your hands properly. Finally, your osteoarthritis disability may cause you widespread, overall pain that reduces your ability to function in a general manner. This is another osteoarthritis disability category that the Social Security Administration may consider if you are applying for benefits. The important thing is to have proper medical records that demonstrate your loss of ability. If you suffer from a rheumatoid arthritis disability, you already know that this disease is a nightmare of Biblical proportions. RA (rheumatoid arthritis) is a degenerative autoimmune disease that causes severe damage to the body, particularly the joints and organs, due to inflammation of soft tissues. The symptoms of this painful disorder are not always constant, but rather flare up and go into remission depending upon the individual case. A rheumatoid arthritis disability can make simply doing daily tasks next to impossible, let alone working and supporting yourself financially. Fortunately, if you suffer from a rheumatoid arthritis disability, the Social Security Administration provides financial assistance if you meet certain qualifications and conditions. In order to receive Social Security Disability benefits for your rheumatoid arthritis disability, you have to meet certain criteria as set forth by the Social Security Administration. The criteria demands that your rheumatoid arthritis disability prevents you from performing daily tasks related to work and/or that it causes pain to the extent that it makes work impossible. The best thing to do to ensure a successful rheumatoid arthritis disability claim is to have well-documented medical records of your rheumatoid arthritis disability. This disease is degenerative and can completely impair a person?s ability to function normally as quickly as 5 to 10 years from initial diagnosis, so you are going to want to be treated and under a doctor?s care as regularly as possible anyway. Keeping good records of your flare-ups in the way of a journal is another way to help ensure a successful case for your rheumatoid arthritis disability. Work with a professional social security disability advocate today and start getting the benefits that you and your family deserve!